As spring and soon summer will be upon us, our children spend more time outside, and a honey do list of projects around the house and yard. There are lots of common issues that can be treated at home. If a minor issue arises you can save a lot of money and sometimes skip a trek to the doctor. This is not meant to replace medical advice by a doctor. Sometimes being a parent especially a mom requires you to do triage work as well. Growing up mom could fix most anything, from an upset stomach, Sun burns, insect bites, nose bleeds, and splinters among others. So here we go ways to handle minor issues like a pro. Children ages 2 – 12 and adults. Younger children consult physician. Ear Ache/Swimmers Ears Ear aches or swimmers ear are both caused by some of the same causes. Water inside or unintentional nontechnical of wax and moisture cause both ailments. Aches can also be brought on by colds or virus causing fluids from irritated immune response, like runny nose. The best trick is a little mineral oil warmed to about 100 – 103 degrees can soothe a full earache and most times cure it witha a dose of over counter fever reducer. Swimmers Ear can be prevented by mixing a solution half rubbing alcohol, half white vinegar. Two drops in each ear after the pool, or other swimming will prevent the condition starting, by helping to dry any water left inside. If symptoms persists beyond a couple days please seek medical assistance. Sun burn. While prevention is the best practice using high dog screen especially on new to the sun tender skin is the best way prevent not only burns now but, things like skin cancer. If anyone gets too much sun the best I have found is Noxema for minor slightly tender skin. As an ivory very fair skinned Irish girl complete with natural red hair, my skin has no resistance to the sun. I can burn from 15 minutes or less in the sun. For serious sun burn make some tea! Brew regular black or breakfast tea, cool to the touch. Use strips of an old sheet soak in tea. Gently place on burned skin for 5 – 10 minutes. Be careful when removing the strips re-wet so they do not stick. Will leave faintly colored slimey substance, shower off this is the acidic substance that made it burn so bad. Once the initial burn is gone stay away from repeat burns. Nasea/ upset stomach Peppermints work wonders for this all to common symptom. Whether something eaten, cold or flu, even severe motion sickness like plague me still. Peppermint work better than most medications in the stores. If it persists warm jello will settle some of the worst I’ve experienced the only thing better you can only get via IV in hospital. Make jello like normal heat water dissolve in 1 cup water. When disolved add 1 cup cold water. Sip mug full. Do not refrigerate until consuming desired amount. Burns. Treat immediately under cool running water. The best remedy comes from the garden. Break off leaf of aloe plant smear juice and pulp over affected area. Will make burn pain stop and speed healing. This is a well known one passed down through generations. Early tribes on more than one continent have practiced and passed this one to present day. Nose bleed. In case of bleed apply pressure to bridge of nose. Tip head forward to drain. Spit out matter if it runs into mouth. You can apply ice to bridge of nose to help stop bleeding. Do not blow nose hard or could start reveled. Cuts and scrapes. Immediately wrap in clean towel or handkerchief. When bleeding has slowed/ stopped, gently cleanse with soap and water. Pat dry. To further cleanse use hydrogen peroxide to gently lift and clean debris from cut. Pat dry. Add Neosporin to sterile dressing and cover with bandage. Keep clean and covered three days. After three days leave bandage off. Sprains and strained muscles. Elevate and ice to reduce swelling. Oral pain meds like Tylenol help with pain. Rest as much as possible. If after 1-2 days still swelling and unable to bear weight. See physician. 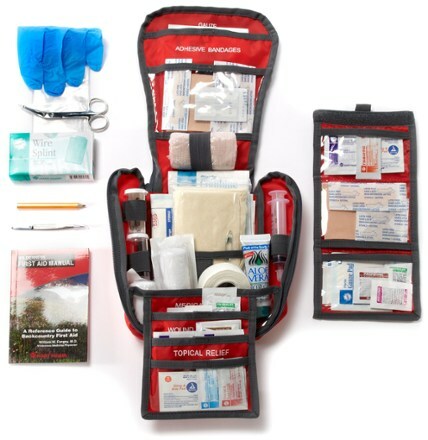 Always keep your first aid kit stocked. Bandages, gauze, tape, peroxide, rubbing alcohol, Neosporin, ace bandage, thermometer, needle, thread, scissors, baking soda, sailine solution. Pain deliver, Vicks, Vaseline, I added a heating pad, and ice packs to mine as well as large dose benadryl since I’m allergic to spiders. I try to keep ailment specifics that have long life in it as well. Don’t forget to replace items you use or run out of. It is important to do this asap! Nothing worse than reaching for it in an emergency and not having what you need. I have a book I found a couple years back that gives instruction on more occurrences but these would be very handy to print if you can’t print this post. My last word is if unsure dial 911. Follow up any accident responsibly and contact a physician if more help is needed. 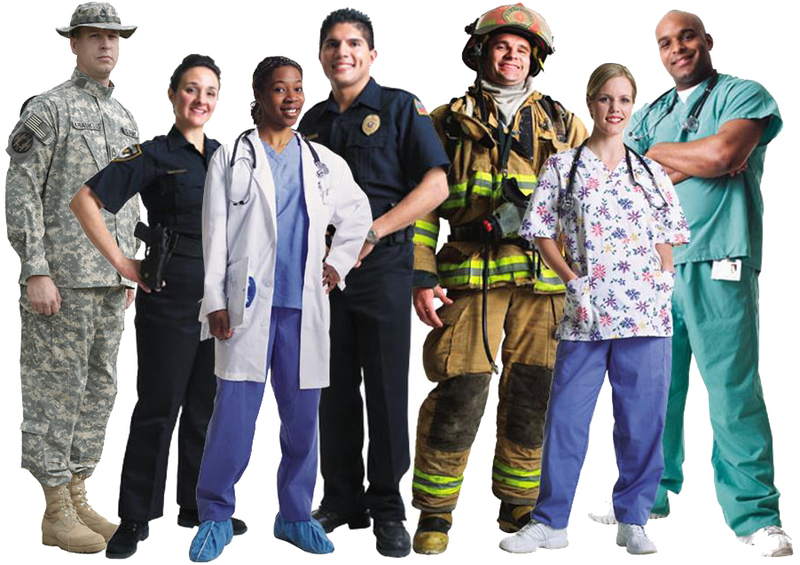 First responders deserve admiration and recognition for the wonderful job they do. While most of us run as far and fast as we can from emergency situations these brave men and women run toward these dangerous situations. Please support your local paramedics, police, and fire fighters. You never know, the next life they save could be yours or someone very close to you.